Kay Geraghty's Encaustic is an ancient medium that Greek artists used back as long ago as the 5th century BC for portraits and panels. It consists of natural bees wax and dammar resin (crystallized tree sap). The medium can be used alone for its transparency or adhesive qualities or used pigmented. 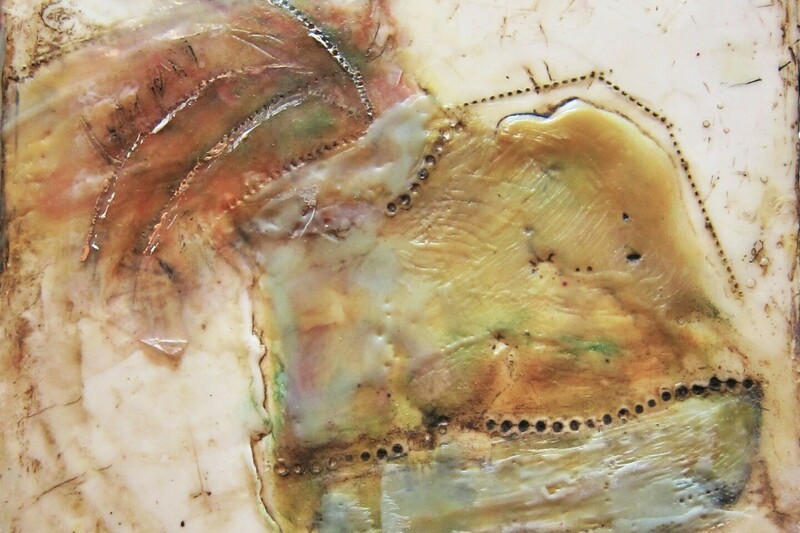 Many mixed media items may be used when painting with encaustic. Some that I use include water color paints, tar, tissue paper, India ink, oil sticks, parts from photos and many more. The medium is melted and applied with a brush or any tool that I wish to create from. Each layer is than reheated to fuse it to the previous layer.